Louisiana is famous for a lot of its attractions, culinary and musical attractions. For flower lovers, this state holds fragrant appeal as it is home to dozens of lovely blooms. Jennings, in Jefferson Davis Parish, is known as the “garden spot of Louisiana,” but the whole state has flowers in abundance. This southern state’s official flower is the creamy white magnolia. There are dozens of varieties of passion flower, but the one that is most widely grown in Louisiana is the Passiflora incarnata. This flower isn’t just a pretty bloom, it has medicinal applications that are useful to the natural healer. These purple bloomers prefer growing over a trellis or some type of support. 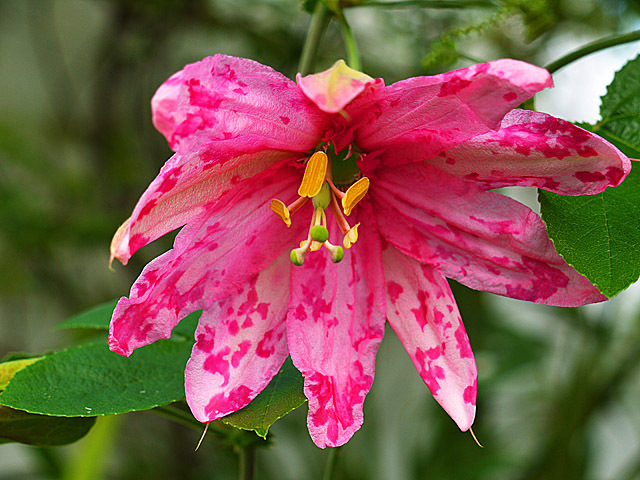 The flowers of the Passiflora incarnata are light purple, and each flower contains 12 individual petals. Inside the blooms are three yellow stamens. These flowers grow easily in sandy spots from June to August. Wisteria Wisteria, or Wisteria frutescens, is a vine plant that produces purple flowers in spring. This flower seed plant is a member of the pea family. The leaves of the plant are dense and light green, while the flowers grab all of the attention with their bright lavender color. Wisteria flowers grow pendulously in racemes or long-bloom covered stems. These southern flower favorites have an enchanting smell that lingers over long distances. 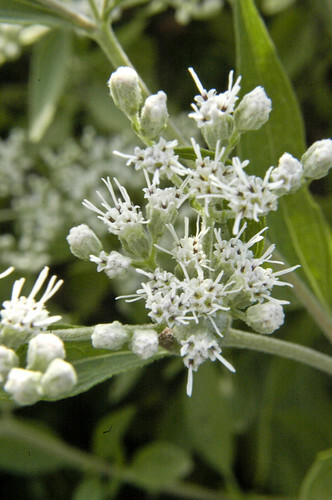 Wildflowers like common boneset grow in meadows and forests naturally but are also cultivated in some gardens. Also known as Eupatorium pefoliatum L., this flower can grow rapidly up to 2 to 4 feet tall. The flowers spring up around a central, hairy stem. Common boneset prefers damp soil and partial sun. The flowers are white, small and clumped. The bitter flavor of the flower repels grazing animals, but some insects like sawflies love the taste. Fringeleaf Wild Petunia According to a USDA chart of Louisiana, the Fingleaf wild petunia or Ruellia hummis grows in almost every parish. The round flowers mimic the petunia and the colors of the blooms are blue, purple or lavender. These bushy flowers are a favorite spot for butterflies who use them as nectar plants. For perfect growth, the flower roots should remain damp with partial sunlight.